Broadly speaking the procedure required falls into one of two possibilities – when the FMC VNAV Cruise page is available; or when it’s not. 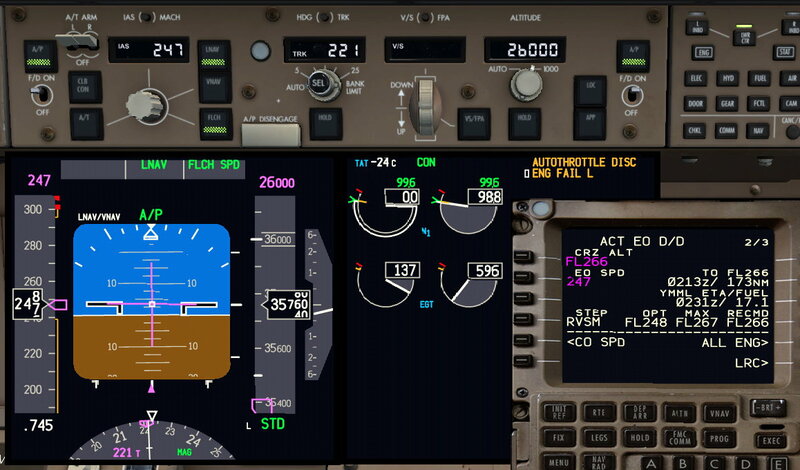 When the FMC is there to give you an altitude and speed to aim for, you set those as part of the procedure shown here. Otherwise initial values of FL150 (or higher if MSA requires) and Turbulence Penetration speed are used until these can be refined using the QRH Performance Inflight. 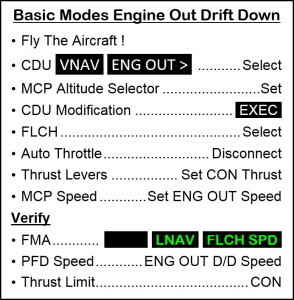 However since FLCH is an idle thrust mode and you want to minimise the rate of descent, the Autothrottle is disconnected and CON thrust is set manually. 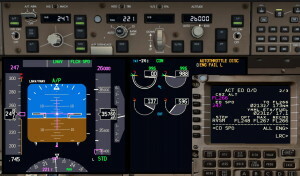 This is done using the Thrust Lever Autothrottle Disconnect Switches so as to leave the Autothrottle armed (not the MCP Autothrottle Arm Switches). 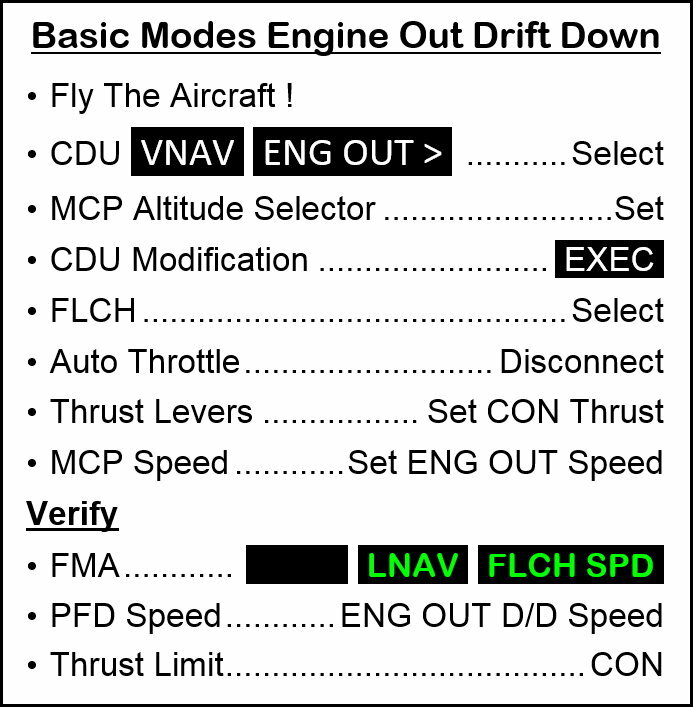 Note that the Autothrottle is disconnected after FLCH is selected, since engaging FLCH after would re-engage the Autothrottle. 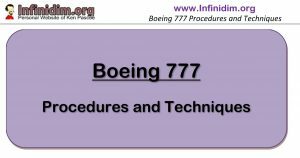 If the engine is actually failed (either EICAS  ENG FAIL or the Fuel Control Switch in Cutoff) then when FLCH is selected, the CON thrust limit will be set, and the PF must move the thrust levers as required to maintain the CON thrust limit. If necessary, the CLB/CON switch should set CON thrust limit manually (but not not the actual thrust setting).